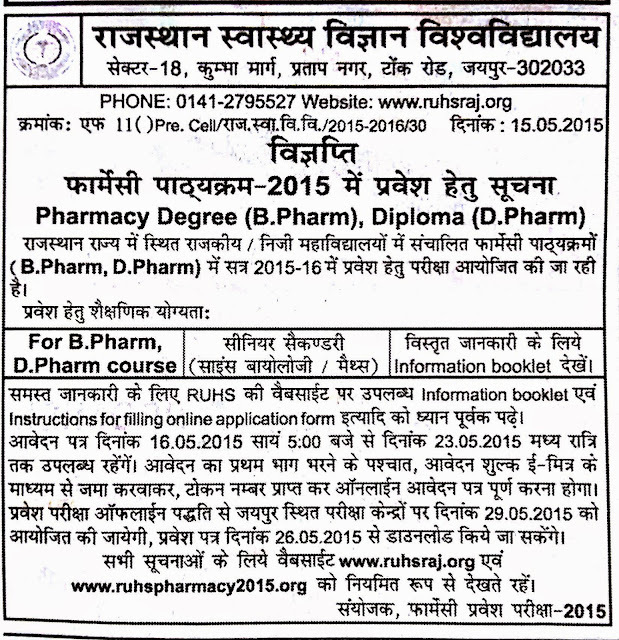 Admissions to B.Pharm & D.Pharm courses are open for colleges affiliated to Rajasthan University of Health Sciences (Govt. University), Jaipur, Rajasthan. 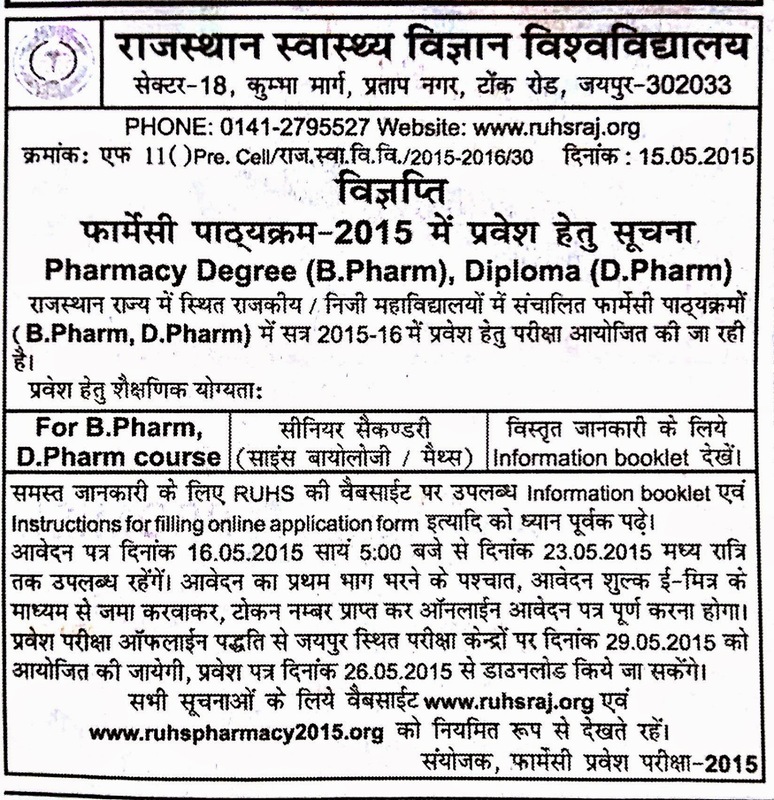 Aspirants may also contact PHARMA-XL for any query or problem.